Day 1. Meeting at the airport and transfer to the hotel. 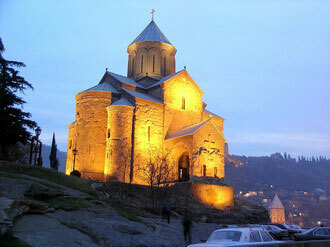 A free evening and according to the wish a round trip excursion in Tbilisi. Day 2. Breakfast in hotel. 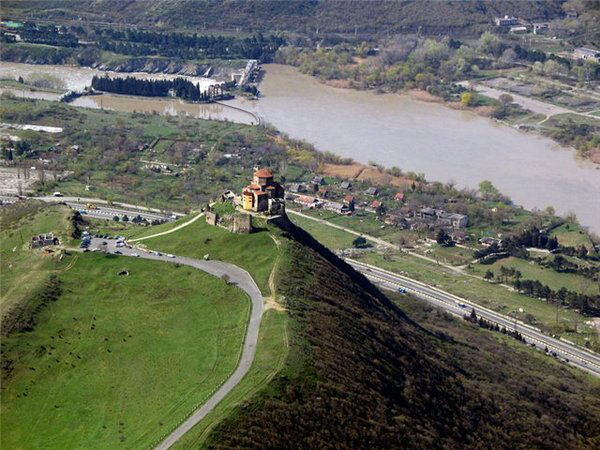 Sightseeing in Tbilisi (Metekhi, Anchiskhati, Sioni). After the dinner a visit to Funiculeur Park, with view over Tbilisi. A beautiful nature, European style entertainment and a lot of cafes, bars and restaurants). Day 3. Breakfast in hotel. Drive to the Eastern Georgia. 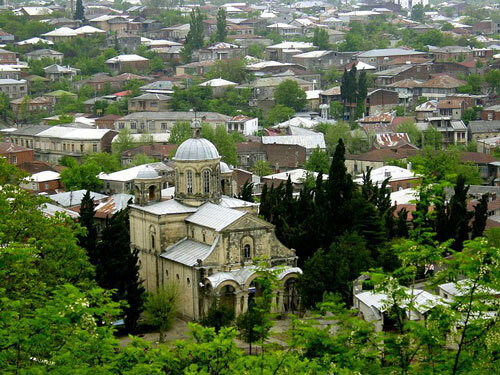 Kakheti - a motherland of vine. It is an Estern part of Georgia. There are about 2000 types of grapes in the world and 500 of them grow here. 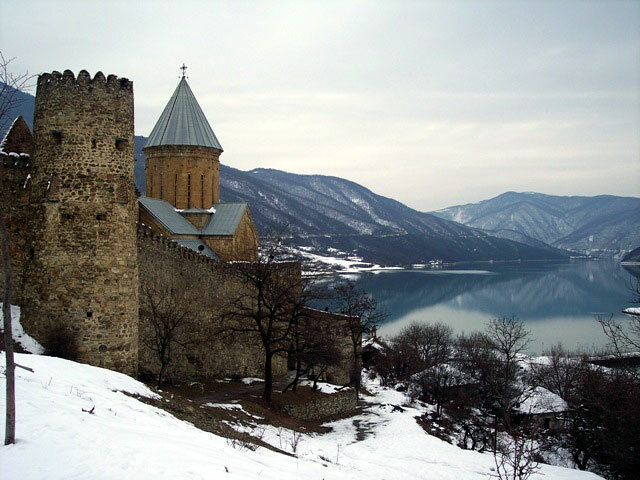 "Sighnaghi" - a small town in the eastern part of Kakheti - a town of love. 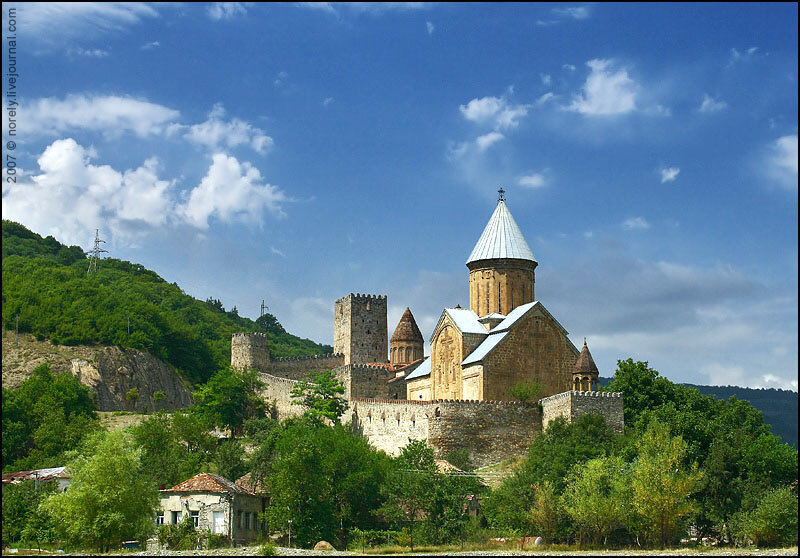 It is known for its castle included in the list of the most big fortresses of Georgia, 18th c. "Bodbe" - a Monastery and Episcopal centre named in honor of St. George.Return to Tbilisi. Free occupation. Day 4. Breakfast in hotel. Kazbegi - a region in mountainous Georgia. Ananuri - according to the legend it is a place with hundred health waters there are a lot of waterfalls in this region. This day we offer a visit to the most famous Georgian restaurant "The mill" with unforgettable cuisine, wines and entertainment program of national songs and dances starting at 7 p.m. The restaurant itself looks like a mill inside. You will remember its environment and atmosphere for a long time. Price per person starts from 25 USD. 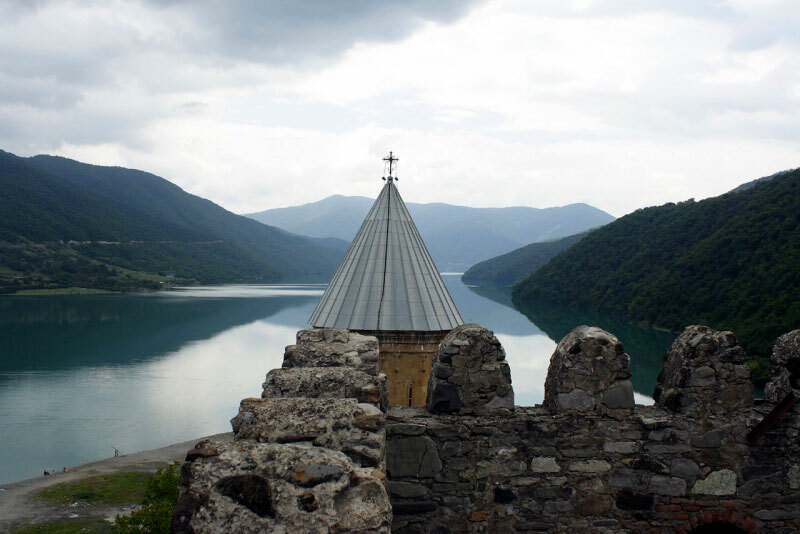 Borjomi - is a very beautiful region. This is a place of mineral springs. The nature is gorgeous here, it is full of emotions. After the dinner - visiting Vardzia - a town in the rock, dated by the 12th c.
The night in hotel Akhaltsikhe - a small town, which is located next to Vardzia. Day 6. Breakfast in the hotel. Drive to the western part of Georgia. 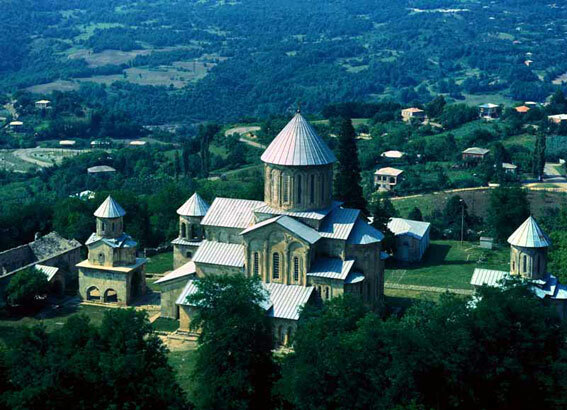 Kutaisi - a centre of Imereti region, the second according to the size and importance. 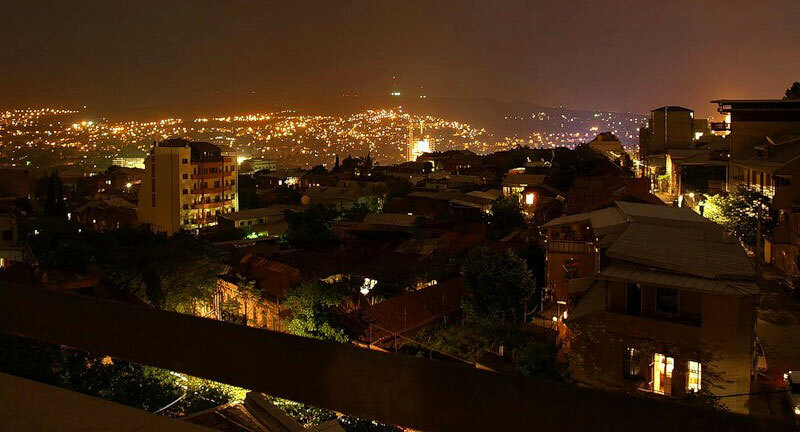 The night in hotel in Kutaisi. Day 7. Breakfast in hotel. 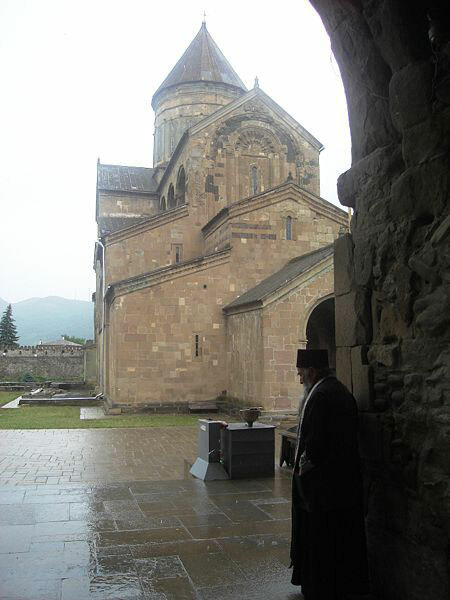 Visit of the Monastery of fulfilling wishes. Return in Tbilisi stop at Gori. Gori - is a town built by king David the Builder in 1089-1125. Here in 1920 was born Joseph Stalin was born, here is his house-museum. Panoramic view of Gori. 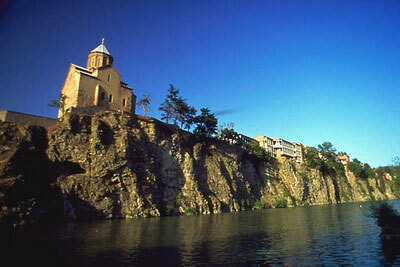 "Uplistsikhe" - is an ancient town-fortress, a fabulous work of old masons on creation of the whole city from a rock. Visit of the house museum of Joseph Stalin. Return to Tbilisi. Day 8. Breakfast in the hotel. 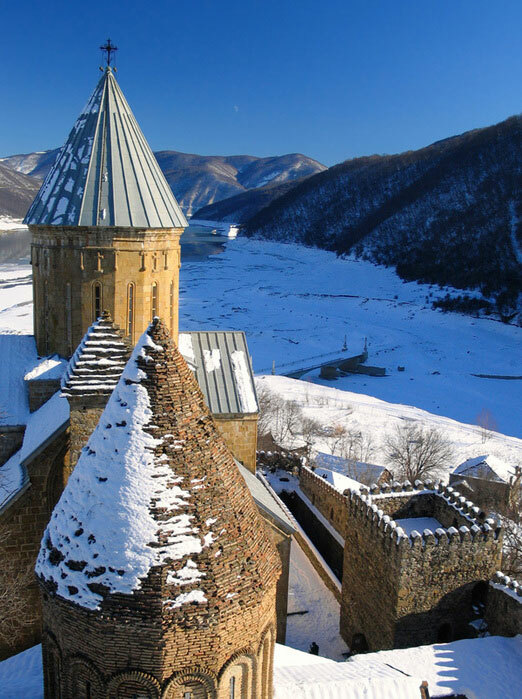 Mtskheta - an ancient very beautiful town where the royal court was seated. There are a lot of ancient churches. 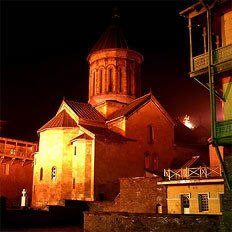 Cathedral "Svetitskhoveli" - founded in the 11th c.